The UK’s largest supermarket is to scrap potentially confusing “best before” dates from dozens more of its fresh fruit and vegetable lines after research found ditching the labels helped customers reduce their food waste at home. Tesco shoppers will, from this week, no longer find date labels on a further 116 items of produce – including own-brand apples, oranges, cabbages and asparagus. Tesco hopes this will prevent food from being thrown away while still edible. The supermarket removed guidance dates from about 70 fruit and vegetable lines earlier this year. Research carried out for the retailer, published on Monday, found that 69% of shoppers believed scrapping “best before” dates was a good idea. More than half (53%) of shoppers in the same survey said they thought scrapping best before dates made a difference, helping them keep perfectly good food for longer. Compulsory “use by” labels have to be put on foods such as meat, fish, eggs and dairy products that carry a safety risk if eaten after that date. But the best before dates put on fruit and vegetables are largely a quality indication to show that although they may no longer be at their best, they are still safe to eat. Food waste is a huge issue in the UK: £13bn of edible food is thrown away from homes every year, according to the government’s waste advisory body, Wrap. A further £3bn is wasted by the hospitality and food service sector. Last month Tesco was among major supermarkets and manufacturers signing up to efforts to drive down the food waste mountain by committing to halving waste from “farm to fork” by 2030. A roadmap published by Wrap and the food and grocery charity IGD sets a series of milestones for businesses to reduce waste at every stage of the supply chain. 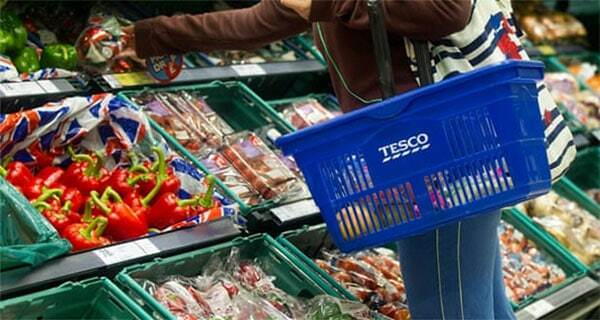 Now 27 of Tesco’s biggest suppliers have published their food waste data for the first time. Tesco also works in partnership with suppliers to find ways to use as much of their crop as possible, including relaxing specifications to allow “wonky” or imperfect fruit and vegetables to go on sale, or creating new products while food is still edible, for example ensuring avocados that are close to becoming overripe are taken to a UK supplier and used to create guacamole.